WASHINGTON (AP) — A record number of Americans — 49.1 million — are poor, based on a new census measure that for the first time takes into account rising medical costs and other expenses. In reaction to some of the criticism, the federal government last year tasked the Census Bureau with developing a new measure, based partly on recommendations made by the National Academy of Sciences. The new measure’s goal is to help lawmakers to better gauge the effectiveness of anti-poverty programs. It does not replace the Census Bureau’s official poverty formula, which continues to determine eligibility and distribution of billions of dollars in federal aid for the poor. “Sure, there’s a lot of suffering out there, but the inexorable result of all of this is to give more ammunition to groups to prevent cuts for the elderly. That means more cuts for low-income families,” he said. Because of Social Security benefits, only 9 percent of seniors, or roughly 3.5 million, live in poverty according to the official formula. But that number increases by roughly 2.7 million when taking into account additional health care costs and other factors. If it weren’t for the health care costs, the poverty rate for seniors would have dropped to 8.6 percent. “The medical expenses are very large,” Short said. The census report found that the poverty rate for all groups would have jumped to 18 percent — or 6 million more people — if it weren’t for the earned income tax credit, a safety net program which offers credits to low- and moderate-income families as an incentive to work and to help offset the burden of Social Security taxes. Temporary expansions to that program are slated to expire after next year. On Monday, the Census Bureau said its new measure remained a “work in progress,” with additional refinements needed to better determine commuting and housing costs. The bureau also said it needed to collect additional data before it can publish reliable supplemental numbers on poverty broken down by state. The Grand Master of the Constantinian Order of St George, HRH Prince Carlo of Bourbon Two Sicilies, Duke of Castro, presided over a Royal Investiture of new knights, dames and medalists of the British and Irish Delegation of the Constantinian Order of Saint George and the Royal Order of Francis I at Westminster Cathedral on 21 October. Before the investiture ceremony commenced, Mass was celebrated in Latin by the Grand Prior of the Constantinian Order, His Eminence Renato Raffaele, Cardinal Martino, President Emeritus of the Pontifical Councils of Justice and Peace and for the Pastoral Care of Migrants and Itinerants. The Delegation Sub-Prior, His Grace The Most Reverend George Stack, Archbishop of Cardiff con-celebrated with the Cardinal. Knights and Dames of the Order entered in formal procession headed the Grand Master and his wife, HRH Princess Camilla, Duchess of Castro, who were followed by the Delegate for Great Britain and Ireland, HE Mr Anthony Bailey and the Vice-Delegate for Ireland, Professor Richard Conroy. The Procession was preceded by the Mace Bearer of Westminster Cathedral Mr Albert Denehan and the flags of Great Britain and Ireland, the banner of the Delegation and the Royal Standard. More than 500 guests attended the ceremony including over sixty knights, dames and medalists. Among them were Rory More O’Ferrall, Baroness Scotland of Asthal QC, Sir David and Lady Durie, Mr John Kennedy, Kevin Grant, Dr Daniel McCartney, Dr Colin Smythe, Mr Norman Gooding (Master of Ceremonies), Sir Michael Craig-Cooper, Jim Dobbin, MP, Cyril and Lorna Woods of Slane, The Dowager Marchioness of Salisbury, Brigadier Tom Ogilvie-Graham, Don Riccardo Tomacelli Filomarino, the Hon Alexander Brennan, HE Donal Lydon, Don Cristoforo Rocco di Torrepadula, Lady Sternberg, Lord and Lady Brennan of Bibury, Mr Timothy George, Gerard Lawler, The Hon Patrick Brennan, Dr Sorca Conroy, Professor John Ryan and Cllr John Turley. The Deputy Speaker of the House of Commons, Nigel Evans, MP, attended as part of a wider group of members of the House of Commons and House of Lords. Among the Order’s dignitaries were: HE Count Andrzej Ciechanowiecki – Delegate for the Republic of Poland, HE Dr Paulus van Hanswijck de Jonge – Delegate for the Kingdom of The Netherlands, Dr Gunnar Riebs – Vice Delegate for the Kingdom of Belgium, Nobile Doctor Antonio di Janni – Vice Delegate for Sicily and Professor Giovanni Bonanno of the Delegation of Sicily. Paraguay, Peru, Romania, the United States of America and Zambia. A Royal Gala Dinner was held that evening, at the historic Stationers’ Hall in London. The Archbishop of Westminster, Vincent Nichols was the guest speaker. Over 250 people attended, including the Prior of the British and Irish Delegation, Cardinal Cormac Murphy-O’Connor, the Apostolic Nuncio to the Court of St James’s, Archbishop Antonio Mennini and Lord and Lady Carey of Clifton. 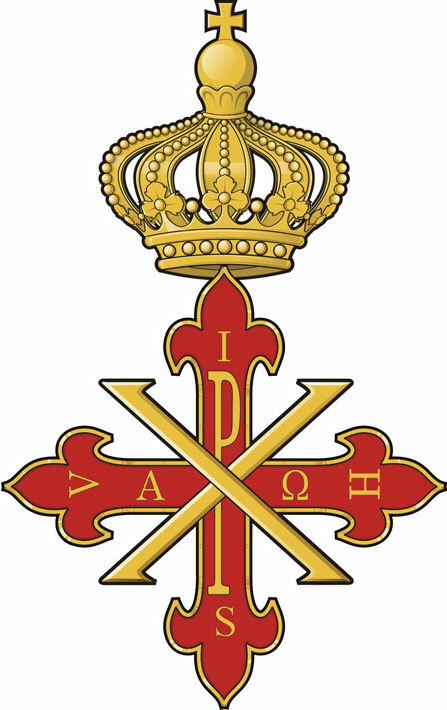 “The Queen was pleased to receive your kind message of loyal greetings, sent on behalf of the members and chaplains of the Delegation Council in Great Britain and Ireland of the Sacred Military Constantinian Order of St. George on the occasion of your Annual Mass in Westminster Cathedral and your Royal Gala Dinner in Stationers’ Hall. “I would like to convey my warmest greetings to the Sacred Military Constantinian Order of St George Delegation of Great Britain and Ireland on the occasion of your annual investiture Mass and Gala Dinner. “I am very honoured to be included among the members of the prestigious Order which so loyally and devotedly defends the Catholic faith. “Our two Islands know, all too well, the terribly destructive power of religious intolerance. We know that, underpinning the work of peace and prosperity building is the gospel challenge to love one another, to forgive one another and to be charitable to one another. I thank you for your quiet and often courageous work in promoting a true understanding of the Catholic faith, and engendering respect and tolerance for those who practice and uphold that doctrine. Mr Niranjan de Silva Deva-Aditya, DL, MEP, Mr John Graeme Igoe, KM, Chancellor of the Irish Association of the Sovereign Military Order of Malta, (Promotion) and Professor Vincent McBrierty, KC*SG. His Excellency Ambassador Lachezar Matev, (Promotion), Captain Paul Champness, TD, Mr Murray Craig. Mr Michael Clarke, Mr Noam Tamir. The Lord Brennan of Bibury, KCSG, QC, Delegate Emeritus (Promotion), Sir Ewan Harper, CBE, The Lord Lingfield, Kt, KStJ, DL, Knight Principal of the Imperial Society of Knights Bachelor. Mr Joseph Gaggero, CBE, Mr John-Barry Noble, The Reverend Deacon Meliton Richard Oakes, Mr Albert Roux, OBE, Professor Michael Sternberg, QC, (Promotion), Mr Vivian Wineman, President of the Board of British Jews. Wearing his green uniform decorated with service ribbons, Staff Sgt. Calvin Gibbs of Billings, Mont., contradicted the accounts of co-defendants and fellow soldiers who portrayed him as an imposing, bloodthirsty sociopath. He said that as far as he knew, each of the killings was legitimate. The 6-foot-4, 26-year-old Gibbs answered questions from his lawyer, Phil Stackhouse, before five military jurors, a judge and spectators—including his wife—at Joint Base Lewis-McChord south of Seattle. When Stackhouse asked why he took the fingers, Gibbs said he wasn’t proud that he had done so. He added that he tried to disassociate the corpses from the people they had been. “Bodies in general didn’t mean anything to me,” he said. Gibbs is the highest-ranking of five soldiers charged in the killings, which took place in January, February and May of last year. Prosecutors said Gibbs and his co-defendants slaughtered the victims with grenades and powerful machine guns during patrols in Kandahar province then dropped weapons near their bodies to make them appear to have been combatants. Gibbs wasn’t present for the first killing but was accused of a providing an “off-the-books” grenade to then-Cpl. Jeremy Morlock of Wasilla, Alaska, who used it when he and Pvt. 1st Class Andrew Holmes, of Boise, Idaho, killed an Afghan teenager. Morlock and Holmes have pleaded guilty to murder. Gibbs was accused of direct involvement in the second and third killings. He testified that the second killing was legitimate because he came under fire, and that he had nothing to do with the third killing. Two co-defendants and other soldiers have testified against Gibbs, but Stackhouse said in his opening statement that the co-defendants conspired to blame Gibbs for what they did. 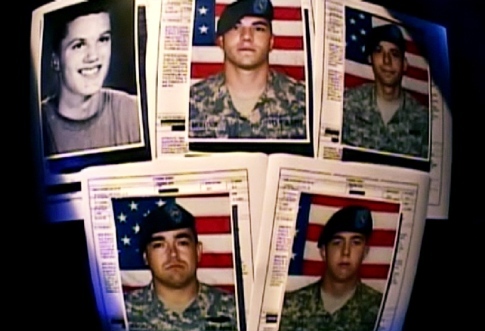 The shocking case came to light in May 2010, after a soldier who was beaten by Gibbs and others for reporting drug use in the platoon told investigators that his comrades had deliberately killed civilians. The five soldiers were arrested in Afghanistan, along with several others who faced less serious charges, including assault and drug use. Gibbs also acknowledged Friday that he beat up the whistleblower, Pvt. 1st Class Justin Stoner, whom he described as a coward. After administering the beating, Gibbs and Morlock returned to Stoner’s bunk. Gibbs admitted he displayed two of the severed fingers as he and Morlock tried to persuade Stoner not to speak with investigators. One of the defendants, then-Spc. Adam Winfield of Cape Coral, Fla., tried to blow the whistle on the plot after the first killing by sending Facebook messages home to his parents in which he warned that more killings were planned. “If you talk to anyone on my behalf, I have proof that they are planning another one in the form of an AK-47 they want to drop on a guy,” Winfield wrote. Calls by Winfield’s father to Lewis-McChord went unheeded, and before long two more Afghan civilians had been killed—one with the AK-47 found beside his body, prosecutors said. Winfield pleaded guilty in the final killing and said he took part because he feared Gibbs would hurt him if he didn’t. Gibbs’ testimony Friday was at odds with that of the other witnesses, who said he began talking about killing civilians soon after he joined the unit in late 2009. In the second killing, Morlock—who is serving 24 years for the murders—said Gibbs killed an unarmed man after firing an illicit AK-47 into the wall of a compound and tossing the weapon at the man’s feet to make him appear to have been an enemy. But Gibbs maintained the engagement was legitimate. The man started firing with the AK-47, but the gun jammed, and he and Spc. Michael Wagnon, who is also charged in that killing, returned fire, Gibbs said. Wagnon’s court martial is scheduled for January. In the third killing, Gibbs contradicted testimony from Morlock and Winfield, who said Gibbs told them to shoot as he threw a grenade at an unarmed man. Gibbs said he had nothing to do with that killing, and didn’t even witness it. He ran toward the gunfire and saw Morlock and Winfield on the ground, firing into a cloud of dust, he said. Shortly before the shooting, he said, he had chastised the two of them for going outside the compound on their own. Gibbs faces 16 charges, covering a range of allegations from premeditated murder to assault. In one instance, he’s accused of ordering his men to fire on unarmed men in a field. No one was injured, and Gibbs insisted on the stand that one of the men in the field was carrying a rocket-propelled grenade. However, others who have testified about that shooting, including Staff Sgt. Robert Stevens, of Portland, Ore., who was at the time a close friend of Gibbs, said they knew the men were unarmed. Gibbs could face up to life in prison if convicted. Four out of five jurors must agree for him to be convicted. With Russia’s December parliamentary elections approaching, many discontent voters are turning to the Communist Party in their search for an alternative to Prime Minister Putin’s conservative United Russia. 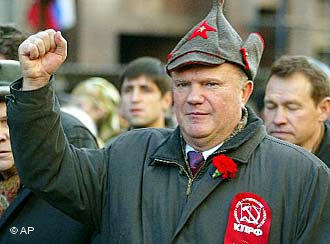 Gennady Zyuganov appears with a clenched fist and resolute face on a campaign poster for his Communist Party. In the background, industrial complexes can be seen and next to them stands the slogan: “We will make sure to give back what has been stolen!” That is the campaign platform with which Russia’s Communists hope to score political points in the parliamentary elections on December 4. In their campaign program, the Communists call for a “new union of brother nations,” a bid to resurrect the “stolen homeland.” In addition, they want to “give the people their stolen wealth back.” Entire branches of the economy should be nationalized again, they say. The Communists also want to return to Soviet social policies – they are promising free education and health care, among other services. The Communist Party of the Russian Federation (CPRF) was founded in 1990 by members of the Communist Party of the Soviet Union (CPSU) who opposed Soviet leader Mikhail Gorbachev’s reforms. After the attempted coup in August 1991 against Gorbachev, Russian President Boris Yeltsin banned both Communist parties. In 1993, Russia’s Communist Party was re-established and until 2003 they represented the biggest force in the Duma. Since then, the Russian parliament has been dominated by parties affiliated with Vladimir Putin’s leadership in the Kremlin. The Communists’ promises are resonating with Russian voters. According to opinion polls, the CPRF could win as much as 17 percent of the vote, a five point improvement over their showing in 2007. That would make the party the second largest force in the Duma. Alexei Grazhdankin, who works for independent pollster Levada, sees several reasons for the popularity of the Communists. “The general mood in the country is not as optimistic as it was during the last Duma elections in late 2007,” Grazhdankin told Deutsche Welle. The economic crisis had an impact on Russia too. Opposition parties, not just the Communists, have gained momentum, he said. In addition, fewer parties are participating in the December elections. “The Agrarian Party, which has a similar base as the Communists, is not in the running,” Grazhdankin said. The party’s voters are likely to support the Communists. A growing number of voters plan to cast their ballots for the Communists as a form of protest against Putin’s incumbent United Russia. For years the CPRF has been the only real opposition party in the Russian parliament. Other parties, like the right-wing and populist Liberal Democrats, maintain their loyalty to the Kremlin. The Communists core base of supporters can be seen every year on November 7, the anniversary of the October Revolution. It’s mostly pensioners who take to the streets with red flags. The party’s base will actually shrink over time since those who look back on the Soviet era with nostalgia die out, Grazhdankin said. Yet the party is attracting more followers for now. “Every year more people go into retirement, and for most Russians that means social decline,” he explained. Many Russians who grew up in the Soviet Union view the communist era as having been more socially just than the present. Russia’s current Communists are convinced that socialism is not dead. They see their criticism of capitalism confirmed by the current economic crisis and want to learn from nations like China. On the other hand, party chief Zyuganov gave reassurances during a recent trip to Berlin that the Communists have adapted to the realities of the 21st century. The Communists integrated themselves into post-Soviet Russia long ago. Wealthy business people appear on the party’s ticket, and they are driven more by commercial interests than ideological ones. So Zyuganov can clench his fist all he wants on campaign posters. “The Communists would have major difficulties implementing their campaign promises,” Grazhdankin said. Britain is approaching a key moment in its post-war history. Do we want to be closer to – or further away from – the EU’s inner core? At the G20 summit in Cannes at the weekend, a small number of delegates could be seen sporting lapel badges announcing their membership of the Groupe de Francfort (GdF). This has become the informal leadership body of the eurozone, the A-team set up to deal with the crisis – or rather to continue dithering over what to do about it. 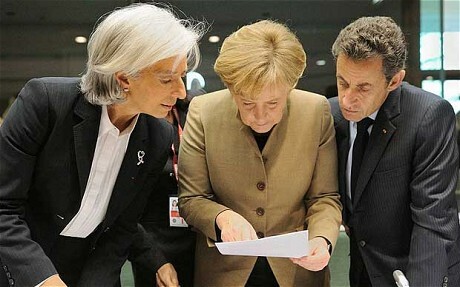 Members of the GdF include Angela Merkel, the German Chancellor, and Nicolas Sarkozy, the French president. The group also comprises the chiefs of the European Commission, the European Central Bank and the EU Council. It has been called Europe’s Politburo – and the nickname is particularly apposite. For if the European Union has exhibited one defining characteristic over its lifetime, it has been a profound dislike of democratic decision-making. The GdF is something that would have been familiar in the old Soviet Union – a self-appointed body of powerful individuals prepared to topple national governments if they fail to toe the line. The GdF met four times on the sidelines of the Cannes summit, issuing ultimatums to Greece and Italy that have destabilised the administrations in both countries. It is touching that the group has been given a French nomenclature when the most powerful member is clearly Germany. But it does represent a reassertion of the primacy of the Franco-German bloc that ruled the EU roost before enlargement. The Union’s expansion to 27 members was encouraged by Britain as a way of diffusing the influence of Paris and Berlin. Now, the central powers are back in control, with the UK (and everybody else) once again excluded. We are approaching a key moment in post-war British history: do we try to force our way back in, or decide upon a more disengaged relationship with Europe’s inner core? 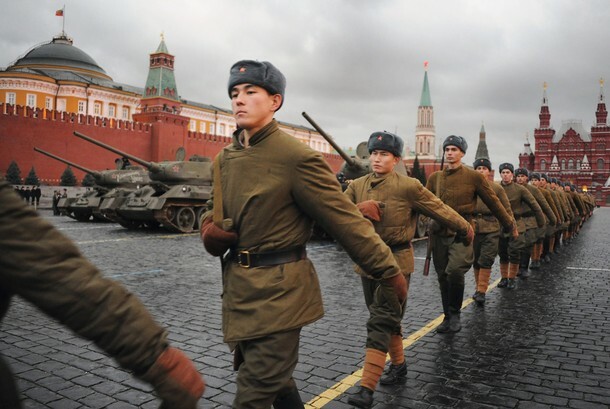 Thousands of Russian troops marched through Red Square on Monday in an emotional re-enactment of a 1941 Soviet parade that saw soldiers march straight to the front to face the attacking Wehrmacht. Dressed in period Red Army uniforms and accompanied by immaculately restored T-34 tanks and truck-mounted Katyusha rocket launchers, five and a half thousand men and boys recreated the historic parade as surviving war veterans who took part in the real thing looked on in sub-zero temperatures. President Dmitry Medvedev said the display looked exactly like cinema reels from 1941, while Sergei Sobyanin, Moscow’s mayor, stressed the parade’s patriotic nature, a quality the Kremlin is keen to instill in young Russians today. “The parade of November 7, 1941 was a lesson in patriotism and courage,” he told veterans. 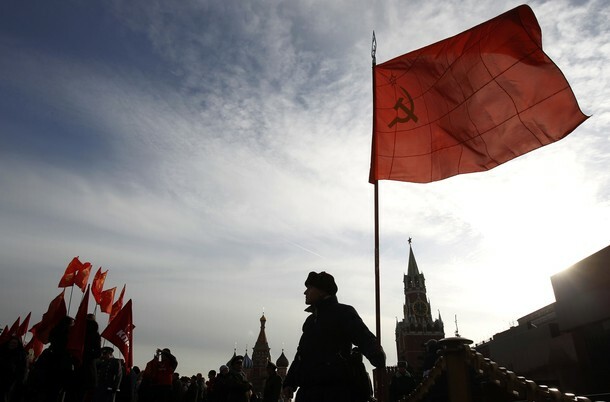 Vladimir Putin’s ruling United Russia party has consistently touted the Soviet Union’s victory over the Nazis as post-Soviet Russia’s most important unifying historical event. The original 1941 parade was held under the watchful gaze of Josef Stalin to mark the anniversary of the 1917 Bolshevik Revolution but took place with the Germans just forty miles outside the Soviet capital. “Of course the victory (in World War II) was not the result of parades but the importance of that parade was enormous,” President Dmitry Medvedev said at a meeting after commemorations with the veterans. “It was at that moment that the country understood that it was capable of overcoming the worst troubles and the most impudent enemy which had planned to hold its own parade in Red Square,” said Medvedev. Post-Soviet Russia no longer celebrates the November 7 anniversary of the 1917 October Revolution as a national holiday and instead has a November 4 Day of National Unity that remains little understood in the country. But a top official from the ruling United Russia party, Andrei Isayev told Moscow Echo radio that while November 7 was a “day of memory” it would never again be a national holiday.